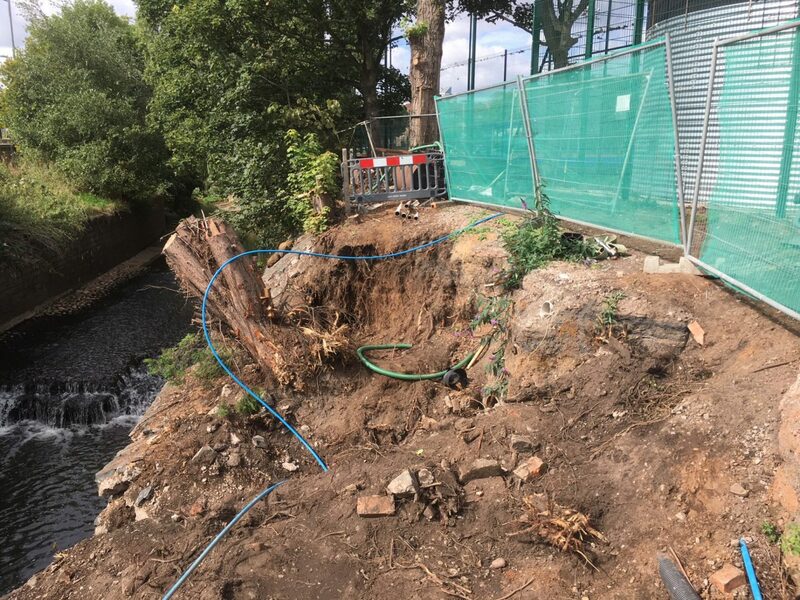 Based on our reputation for innovative solutions, the University of Birmingham called Condor Projects Ltd in last month to find a solution to a heavy eroded river bank, located within the University grounds. 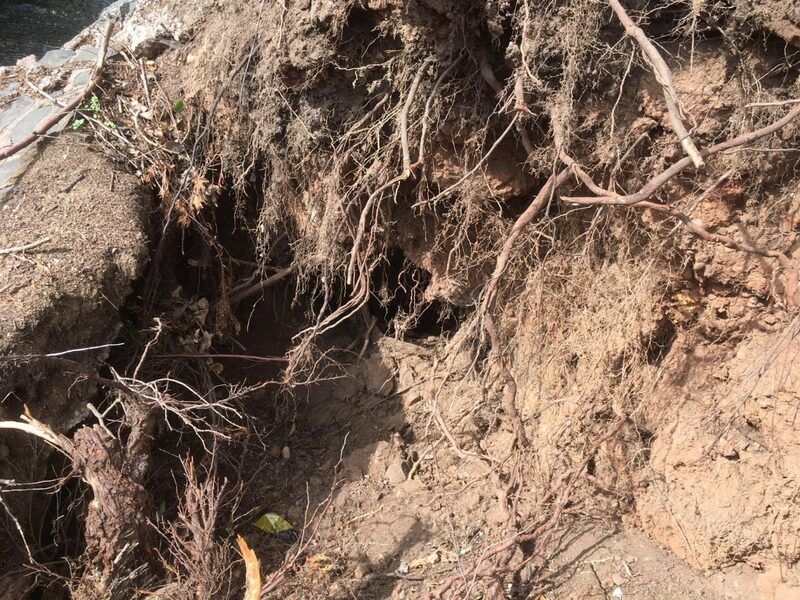 Following years of flooding, a burst water pipe and overgrown trees, the bank had become unstable and started to collapse. 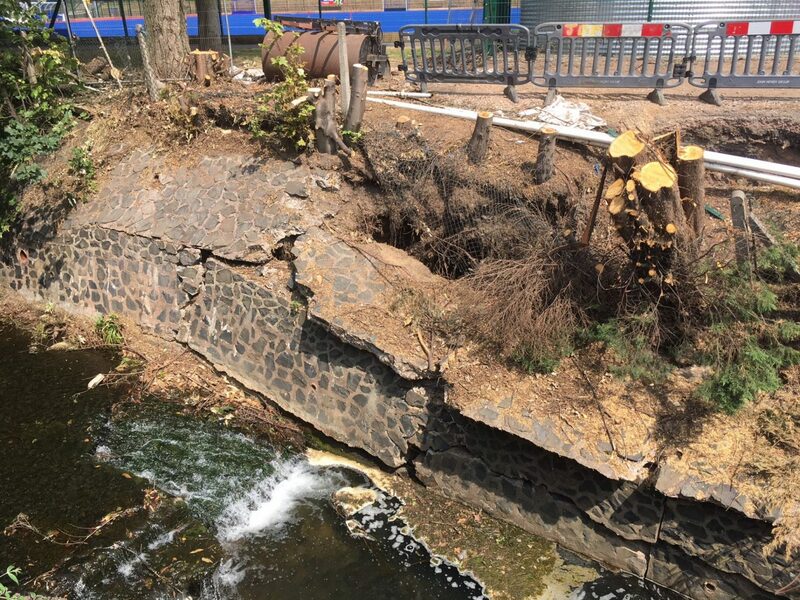 Due to the short period of time available before the start of the fish breeding season, Condor Projects Ltd, working closely with the Environment Agency came up with a solution to make a temporary fix, only using natural materials. 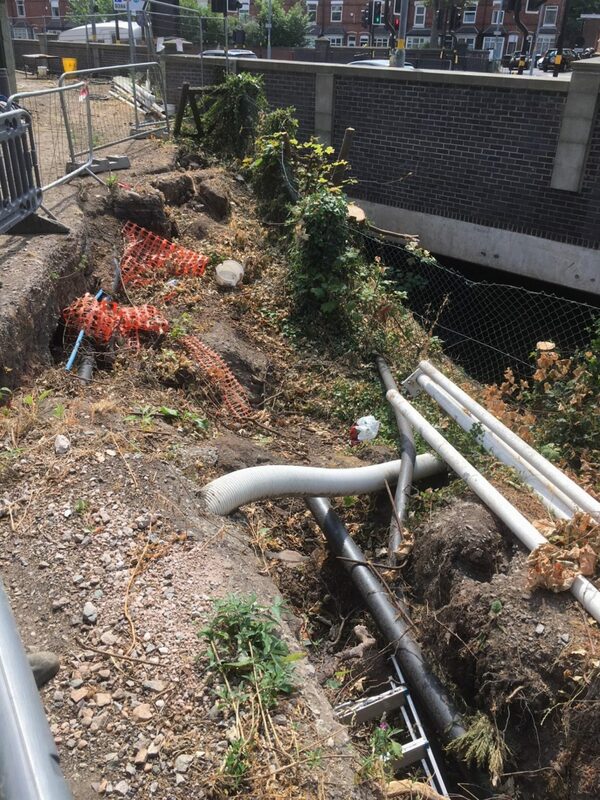 After further investigations, substantial voids have been located behind the walls, requiring a more permanent solution to prevent a major collapse during the winter coming. 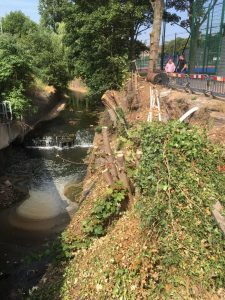 Condor Projects Ltd are still working on the project and will update the progress next month.